Every year, in Africa 200.000 mothers die from complications of pregnancy and childbirth; and for every woman who dies, many others suffer injury, infection or disability. Every year 1,5 million African children are left without a mother. A mother’s death is a human tragedy, affecting families and communities. Her death endangers the lives of a surviving newborn and any other young children; a mother’s death makes it harder for the family to obtain life’s necessities and escape the crush of poverty. A great many of these deaths are preventable, when women have access to quality prevention, diagnostic, and treatment services; most maternal death and morbidity can be prevented when pregnancy and childbirth are attended by skilled health professionals (nurses, midwives or doctors). I named my photography project about maternity in Africa.”Birth is a dream”. I wanted to answer a number of number of questions producing this work brings forth. What is a mother’s dream? How realistic is it for for them the dream of giving a safe birth ? Why safe motherhood is still a dream for the African mothers ? I am a photographer focused on humanitarian issues and social-documentary, working with NGOs, Aid and Non-Profit Organizations. I’m interested in documenting global topics, including health care, education, human rights, sustainable development, poverty. I’m travelling in Africa from almost ten years, documenting in pictures stories from this continent; I believe it’s my duty to use my camera to let people know what they’ve never seen, what they still ignore is happening. I’m working on my personal long term project about the Maternity crisis in Africa and developing countries as well. This entry was posted on Monday, September 17th, 2012 at 4:32 am	and is filed under Birth is a Dream, Stories and tagged with maternity, motherhood, multimedia, multimedia journalism, Paulo Patruno, photo documentary, photojournal, photojournalist, story telling. You can follow any responses to this entry through the RSS 2.0 feed. Can you please tell me how i can help, i would like to donate baby clothes, bottles and sanitze essentials for moms who give birth and are limited to any medical needs. I have 3 babies just had my 3rd 8 months ago and im more than hurt to see these images. When i myself have had no one to give my son’s clothes to and or bottles that he has not even used. Is there any way that we can bring this issue aboard to our government so they can help these women. This needs to be pushed alot of people don’t want to help Africa and is sad we are all God children and we all deserve a chance in life please email me back i would like to help even if i can’t financially i would like to send care packagges to these mothers. Yes, it is very heartbreaking to see what mothers in Africa go through during pregnancy and childbirth. 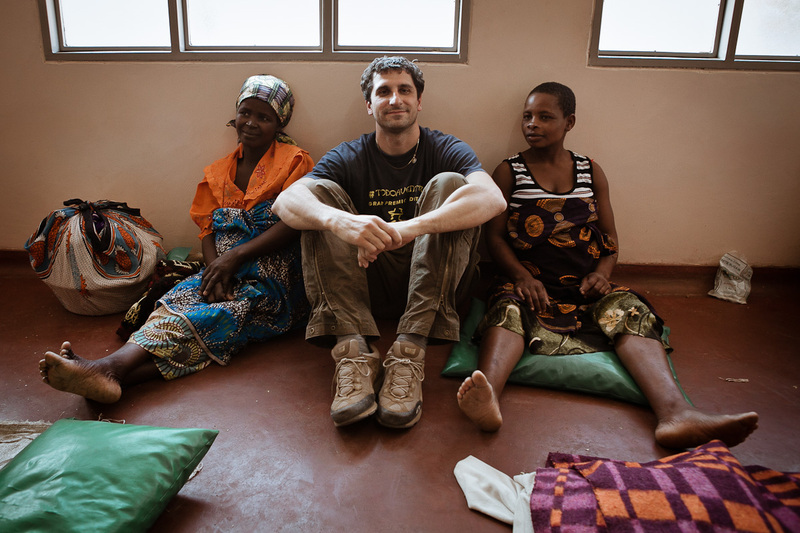 Paolo Patruno’s video speaks of what happens in most rural communities in Africa. Childbirth Survival International (CSI) is working to strengthen health facilities, empower women to take charge, involving male partners and communities, so mothers can have safe and healthy deliveries in developing countries. There are many factors and CSI is among the grassroots organization working in communities to improve quality of services delivered to pregnant women and newborns. Visit our website, http://www.childbirthsurvivalinternational.org to learn more of our work and how you can help. You can also find CSI on Facebook, http://www.facebook.com/childbirthsurvivalinternational.org. Together, we can save lives, change lives, and empower lives. Maternal care is non existence in Africa. I would like to help but how much of the donations actually get to these woman. Be frank with me.